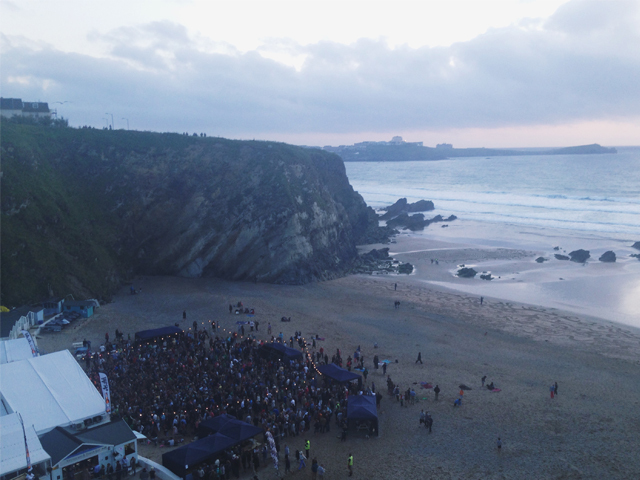 Watching the sun set on Lusty Glaze beach last Friday, accompanied by live music and warm weather, you could easily have been fooled into thinking you were somewhere more exotic than Newquay. My first visit to the Sundowner Sessions certainly didn’t disappoint and neither did the headline act: Xavier Rudd and his band The United Nations. To describe Rudd as an acoustic singer-songwriter would be an understatement. With nine albums behind him (two have gone platinum in his native Australia), Rudd combines vocals and guitar with the didgeridoo, harmonica and percussion. Part folk, part reggae, part ska, it’s difficult to place Rudd in one genre. It might sound a little corny, but Rudd’s lyrics truly are uplifting. Opening with the track ‘Follow the Sun’, the crowd were soon dancing along and even the most serious attendees couldn’t resist a bit of foot-tapping. Later in the evening Rudd’s band The United Nations joined him on stage – an energetic musical collective made up of artists from all over the world – and kept everyone dancing long after the sun had set. The crowd included people of all ages, from one to seventy one. I definitely saw at least two ear-defender-clad babies with their parents among the bopping teen ravers and middle-aged music lovers. Due to its relatively small size, Lusty Glaze provided an intimate space for the warm acoustics which surrounded the audience. Without a doubt, it is one of the best live music venues I’ve ever been to, and complemented the evening perfectly. Rudd is clearly in international demand. He’s spending the next five months on tour between Europe, the States and Australia. It might involve a plane ticket, but I am already trying to work out how I can see him perform again. Xavier Rudd is touring worldwide until 15 November 2015. 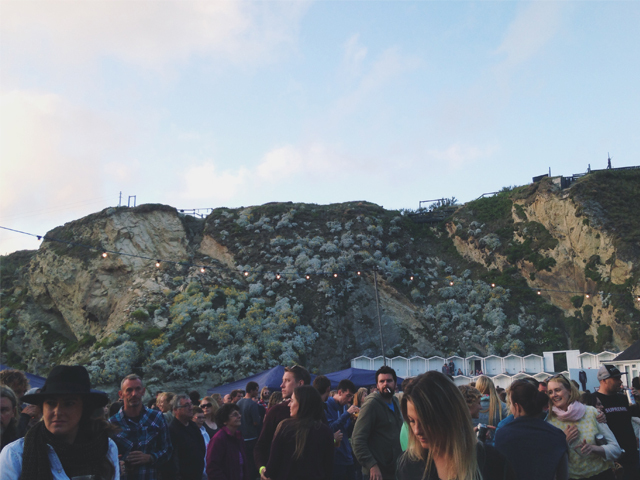 For more information about the Lusty Glaze Sundowner Sessions, some of which are free to attend, take a look at their website.